ENTRANCE TO BACKSTAGE: Walk into the front doors of the Molson Canadian Centre – Centre A side to access the backstage contest prep area. You must show your button number at the door to get backstage. PREJUDGING FOR FITNESS, MEN’S BODYBUILDING, MEN’S CLASSIC PHYSIQUE, MEN’S PHYSIQUE AND WOMEN’S PHYSIQUE: will begin at 10:00 am SHARP, Saturday morning. Competitors are asked to arrive no later than 9:30 am to prepare for Fitness Routines will take place for Fitness during the Pre-judging and Evening Finals. EVENING FINALS: will begin at 6:00 pm SHARP. Competitors are asked to arrive no later than 5:30 pm. 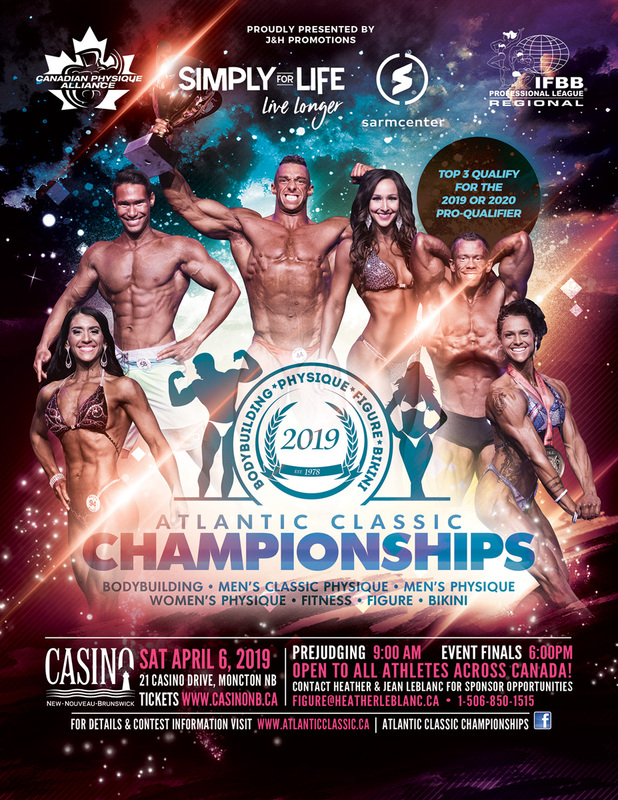 All Posing Routines will take place for Bodybuilders, Men’s Classic Physique and Women’s Physique during the Evening Finals, as well as Fitness Routines. BADGE NUMBERS: Competitor Badge numbers to be worn on the LEFT or RIGHT hip for Men’s Physique or Bikini. All other disciplines must wear their badge on the LEFT hip. IMPORTANT: Competitors will NOT be allowed to have a helper backstage, there will be plenty of backstage personnel to assist you. There are special circumstances / exceptions for personnel backstage. If you have purchased a Backstage Coaches Pass, you must wear your badge around your neck and it be visible to the Security Personnel (entering and exiting the backstage). Backstage Passes are NON-REFUNDABLE and NON-TRANSFERABLE! We will be keeping an eye on this to ensure that only authorized personnel go backstage. At any time, a competitor feels uncomfortable, immediately inform one of the backstage coordinators for assistance. OIL/DREAM TAN IS PROHIBITED AT THE CASINO! Due to CPA/NPC rules, oil and/or dream tan products will not be permitted in the venue. BANNED PRODUCTS ARE PROHIBITTED AND CAN LEAVE STAINS ON THE SPECIAL STAGE SURFACE or WALLS IN THE VENUE. All athletes will be checked before walking on stage and any competitor wearing these prohibited products will be asked to wipe it off before they are allowed onstage. Competitors are asked to PLEASE BE VERY CAREFUL NOT TO TOUCH THE WALLS OR CURTAINS AND WHERE YOU SIT AND PLACE YOUR HANDS. THESE PRODUCTS LEAVE STAINS AND VERY MESSY TO CLEAN. Failure to comply could disallow promoters to re-use the venue at Casino NB for future events and could result in disqualification of the competitor. IT IS STRONGLY RECOMMENDED THAT YOU BRING YOUR OWN TOWELS AND BEDDING. IT IS VERY IMPORTANT NOT TO GET TANNING DYE ON THE HOTEL TOWELS, BEDDING, CARPET OR WALLS. IF STAYING AT THE CASINO, THE CASINO WILL ENFORCE THE ITEMS ABOVE IN THE INFORMTAION LIST. YOU WILL THAN BE RESPONSIBLE FOR ANY DAMAGE DONE TO THE ROOM AND/OR LINENS, WALLS, CARPET, ETC.